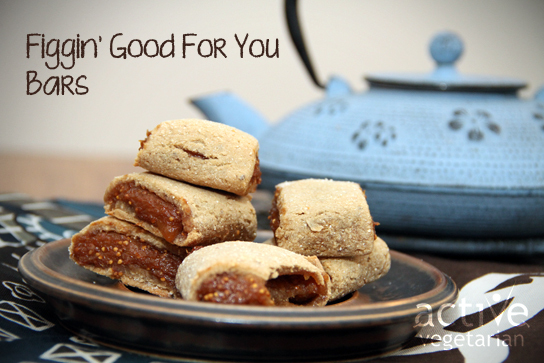 » Recipes » All Recipes » Figgin’ Good For You Bars! Boil about 1 cup strong vanilla rooibos tea. Once tea is steeped mix 3 tbsp of the tea with 1 tbsp chia to make a “chia egg”. Add your flour, baking soda, salt, and cinnamon to food processor and pulse to mix. Now add your coconut oil, chia egg, maple syrup and 1 tbsp vanilla – mix together. Now start adding your roobois tea/almond milk mixture until dough forms into a ball. (Place dough ball in the fridge while you make the filling). 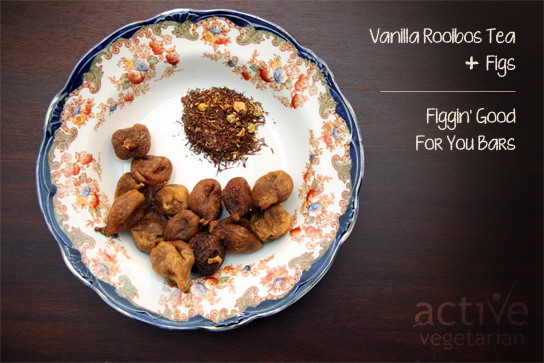 To make the filling, chop your figs and place them in a pot with 1/2 cup brewed tea, lemon juice and 1 tbsp vanilla extract. Cook approximately 10 mins. over med heat until the figs start to soften. Let cool slightly and blend in food processor to form paste. Remove dough from fridge and separate into 2 balls. 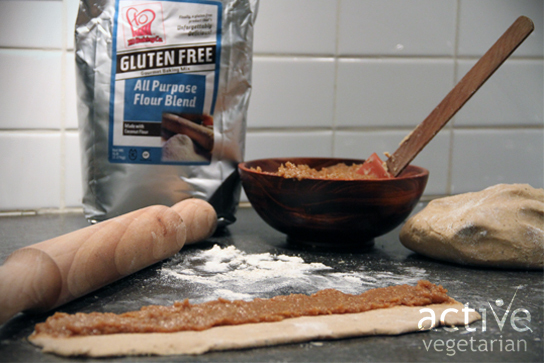 Lightly dust your counter with flour and using a rolling pin roll dough into a long narrow rectangle. Depending on how wide you want the cookies only roll your dough double the width (you will be folding it over). For example if you want your final cookie 2″ wide roll dough to 4″ wide. Once you are done that spoon filling along one side of the dough, now carefully fold the other half of the dough over and seal dough together along the edges. Place cookies on a parchment lined cookie sheet and bake for 20 minutes. * You can also make these a little wider so they are more like a cereal bar for a great “breakfast on the go” option. Looks delicious!It reminds me of a cookie I used to eat as a kid, Figolu. I am sure is is even better (and better for you) when homemade! Funny how somethings trigger your childhood. Speaking of which these are a great lunch snack for the kiddies :P. Or a quick breakfast for Mom/Dad that’s on the run. OMG these look so good! Thanks for the recipe! Do you think I can use dates in place of the figs? I have dates on hand. 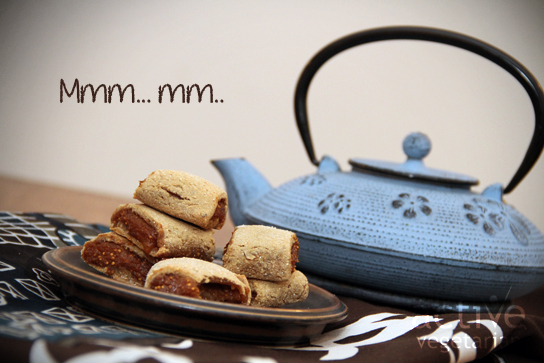 They are delicious!!! :). I think dates would work perfectly fine. It may just make a bit sweeter. I love figs. great recipe thanks!